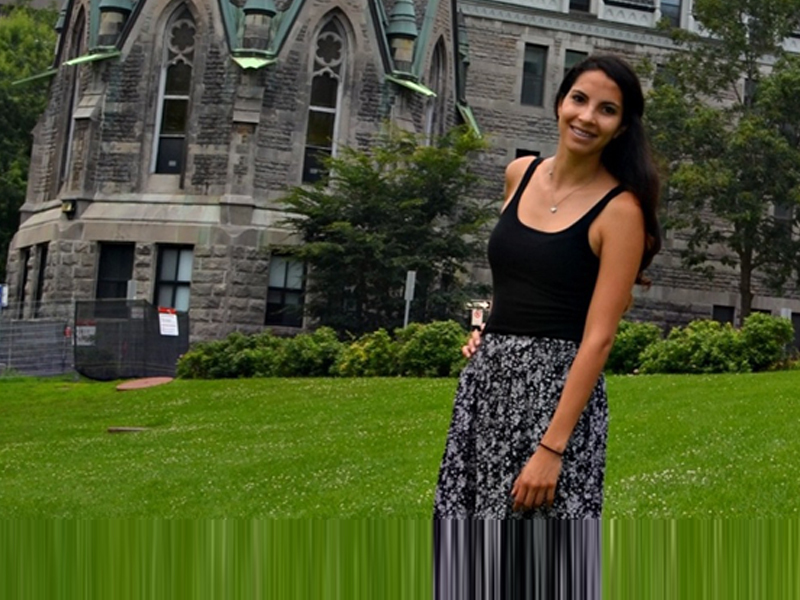 Rebeca Borges Monroy, from the National Autonomous University of Mexico’s Department of Genomic Sciences, comes to Canada through a 12-week Mitacs Globalink internship where she is contributing to important research on ovarian cancer. Alongside Dr. Patricia Tonin from McGill University’s Department of Human Genetics, she is investigating genetic abnormalities of ovarian cancer specimens. The objective is to improve upon screening and surveillance methods by investigating the role of genetic events and related cancer susceptible genes that occur in ovarian cancer.